Zachęcamy do skorzystania z naszej usługi zwrotu podatku bezpośrednio po zakupach w placówce w OUTLETCITY METZINGEN. Take advantage of our Tax Refund service directly after shopping at OUTLETCITY METZINGEN. Discover modern architecture, treat yourself to culinary delights and benefit from discounts of up to 70%** throughout the year! Enjoy a great number of exclusive offers and special prices for Easter shopping from 11/04 until 20/04/2019. Discover the new spring/summer looks with maritime flair and fresh colours. 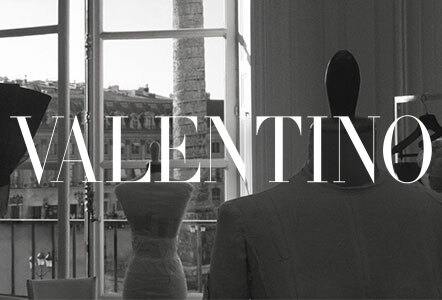 Visit the new Valentino store and be ready for exciting and exclusive italian fashion. You will surely be inspired by the amazing collection. Discover great brands such as Dsquared2, Golden Goose, Marc by Marc Jacobs, Kenzo, See By Chloé and many more. Benefit from uo to 70% off from the RRP. The Valentino team welcomes you with a glass of sparkling champagne, soft drinks and sweet delicacies such as macarons and chocolates. Visit Valentino on the opening day, discover the new exclusive collection and enjoy an unforgettable shopping day in the OUTLETCITY METZINGEN. Visit our Aigner store on 20/04/2019 and enjoy a refreshing glass of champagne and tasty chocolate Easter eggs during your shopping tour. Now -40% additional from the outlet price on everything (not combinable with other promotions). "Life is too short to wear boring clothes." The designer outlet in Metzingen offers numerous luxury designer brands and high fashion in a premium outlet at attractive prices. The OUTLETCITY METZINGEN provides all that with a unique shopping experience. In addition to premium brands, there are numerous tempting leisure activities on offer for the whole family. It is not only the lower priced designer fashion that makes the OUTLETCITY METZINGEN appealing but also its modern architecture and the wide range of restaurants and culinary delights on offer to suit every taste. With fun and games at Kids Camp, the OUTLETCITY METZINGEN’s childcare provision, even the little ones will find what their hearts desire. At the OUTLETCITY METZINGEN, you will find a variety of high fashion brands at attractive prices, for every season and every occasion. As well as everyday clothing like trousers, shoes, jackets, coats, underwear or shirts, there is also a wide range of high-quality business fashion or evening wear on offer at attractive outlet prices. The designer outlet also has well-known brands and special offers for sports enthusiasts and the associated sports equipment at lower prices. The high fashion outlet has a huge selection of sizes in every shop and an attractive range for men, women and children. Are you looking for high-quality jewellery, watches or bags? Visit the Michael Kors Outlet Store at the Metzingen designer outlet and enjoy a special shopping experience in an exclusive atmosphere. If Italian luxury brands are your style, then the Gucci, Prada or Miu Miu stores offer a great selection of quality, luxury clothing that is instantly recognisable. At luxury brands for men, Hackett or Ermenegildo Zegna, you will find high-quality fashion and smart business clothing at price reductions of up to 70% on the previous recommended retail price (if applicable). Suits made from quality materials with an elegant fit and accessories such as watches that are essential for a business look, await you here at outlet prices. Can a woman ever have enough shoes? Find truly individual pairs at Jimmy Choo or Tory Burch. 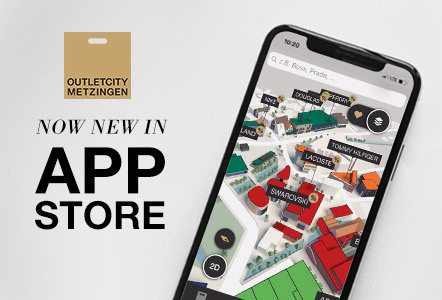 Visit the OUTLETCITY METZINGEN and, in addition to other attractive brands such as Moncler, get to know many more luxury brands. The town centre has many shops well-known for being international premium brands. Designer fashion makes you feel special and turns shopping into an exclusive experience – especially when the fashion is on offer at attractive outlet prices. Get personal advice in every shop at the OUTLETCITY METZINGEN and enjoy the exclusive on-site service. The internationally renowned outlet stores at the OUTLETCITY METZINGEN have trained and experienced staff who will advise you on your selections and help you make decisions, turning your shopping trip into a success. For example, are you looking for good value trendy jeans to perfectly flatter your best features? Or premium shoes to go with that evening dress? Since quality is of the highest standard, fashion conscious and style-specific customer service goes without saying. Visit the OUTLETCITY METZINGEN and experience these unique services for yourself along with the town’s irresistible charm and impressive outlet offers.